Why to Advertise in Our Business Newspapers 1. Your advertisement in our Business Newspapers provides you a big popularity & image because it covers almost the whole range of products. 2. Our Business Newspapers remain Present on the tables of Manufacturers & Dealers throughout the Week / Month registering your Presence in the market & reminds your advertised Products / Services Powerfully & effectively to them. 3. It is a very cost effective and efficient media to advertise products & services.It targets the right business people at the right time in a right Way. 4.Our Business Newspapers Provide Optimum Level of satisfaction to all the related people. We take this opportunity to introduce you the Four Square Media Group - a 28 year old, leading publisher of Business Journals in India. An ISO 9001:2008 certified company, established in 1987 with only one Business Journal named as "Tender World" but now we have emerged as the single largest publisher of Business Newspapers in the country. Mr Manoj Jha is a very experienced person in the Digital Marketing field. An experienced SEO with lots of tactics and new latest knowledge for the same field. 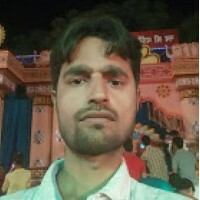 I recommend Manoj for his SEO, web development, and digital marketing skills.